We excel in creating rare, unusual and unique decorations for the home, Using British Homes as an Inspiration some of our rare artifacts are either reproductions of ancient craft or are designed for a modern contemporary Home. If you don't find it elsewhere you are sure to find it with us. Looking for something ancient with a touch of something modern in it. Have a glance at our website. 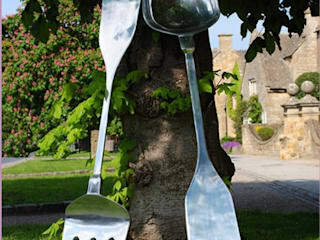 Our products come in the form of Clocks, Vases, Wall Hangings, Figurines, Unusual Giant Accessories, Giant Spoon and Fork, Giant Anchor, Giant Cup and Saucer are some of the top selling items in the shop. Still not Happy with the collection try us give us a design and we will reproduce it for you, and with your permission sell it on our site too, and if it does sell well you get your money back! !